Israeli educator Akiva Gersh wrote an impassioned letter to Palestinian-American activist Linda Sarsour on Tuesday after Sarsour said that Zionists cannot be feminists. 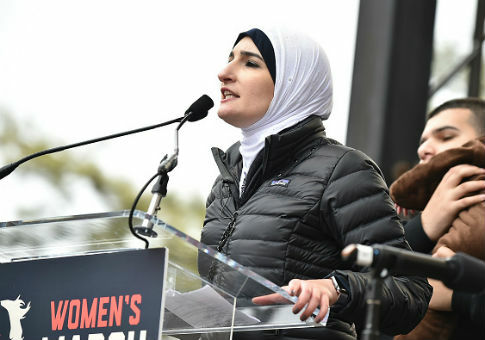 Sarsour, the executive director of the Arab American Association of New York, served as co-chair of the Women's March on Washington in January and helped organize the "Day Without a Woman" strike earlier this month. She gave an interview with the Nation‘s Collier Meyerson on Monday in which she said Zionism, the movement to reestablish and maintain a Jewish nation in Israel, the Jewish people's ancient homeland, is incompatible with feminism. In the interview, Sarsour claimed Zionists cannot be feminists because they are ignoring the rights of Palestinian women. "You either stand up for the rights of all women, including Palestinians, or none. There's just no way around it," Sarsour said. "It just doesn't make any sense for someone to say, "Is there room for people who support the state of Israel and do not criticize it in the movement?" Sarsour added. "There can't be in feminism. You either stand up for the rights of all women, including Palestinians, or none. There's just no way around it." 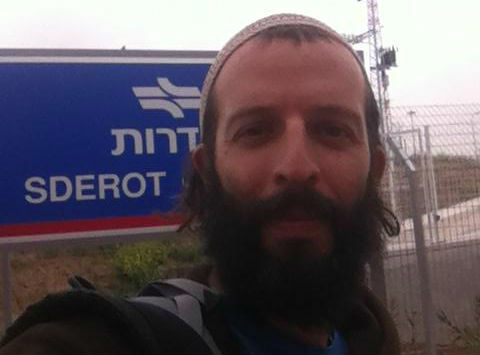 Gersh, co-founder of a college study abroad program in Israel called Tiyul B'Aretz, responded to Sarsour's comments in a letter published Tuesday in the Times of Israel. "Linda, when you mentioned your ‘Palestinian grandmother who lives in occupied territory' during your speech at the Women's March in Washington, D.C., I was upset," Gersh wrote. "It felt to me that you were using that incredible historical moment and the spotlight that it shined on you as an opportunity to bash Israel." Gersh noted that he was "humbled" and rethought his views of Sarsour when she helped raise $100,000 for a Jewish cemetery near St. Louis that was desecrated last month. But he said he was proven wrong by her comments on feminism. "You do have that hate in your heart. And it burns for Zion. And Zionism. And anyone who considers herself a Zionist, a lover and a supporter of the one country in our world created to take on the role of safeguarding the Jewish people (because no other country would). Because in your view, if you are a Zionist then you are not and cannot be a true feminist," Gersh said. "That's funny, because I know plenty of strong women who stand up and demand and receive the equal voice, rights, and opportunities that they deserve as women, as human beings, and as part of God's great creation," he continued. "And you know what, Linda, these women are Jewish and they are Zionists. And their Zionism and their feminism go hand in hand." Gersh, who also teaches Jewish history at Alexander Muss High School in Israel, told the Washington Free Beacon that it is upsetting to hear Sarsour use her platform as a prominent activist to "speak such hateful words towards Jews, towards supporters of Israel." He referenced some of Sarsour's controversial past comments, including when she tweeted that "nothing is creepier than Zionism." Sarsour also attacked an African-American pro-Israel activist last year because she "forgot where she came from" and has called Israeli Prime Minister Benjamin Netanyahu a "waste of a human being," among similar past remarks. "These are definitely examples of things she has said, both through social media, through her speeches that really offend me and I think are particularly harmful," Gersh said. In 2014, Sarsour was honored as a "champion of change" by the Obama administration. Gersh told the Free Beacon that Sarsour being given such an honor by the previous administration was "shocking" and "disturbing." He then referenced Sarsour's support for the Boycott, Divestment, and Sanctions movement, which seeks to wage economic war on Israel. "I feel for someone who is so often in the limelight as a ‘champion of change,' she speaks very hateful words, and words that are very divisive, diving, and damaging," Gersh said of Sarsour. Gersh added that he finds progressive organizations with noble causes are becoming increasingly hostile towards Israel and Jews, which he argued undermines their movements and is a "dangerous" trend. "[I see] the reiteration of this upsetting trend of all these progressive movements and organizations that are focusing on such positive and righteous causes that need people's help to really impact our society in positive ways, as they bring in more and more hate towards Israel and the Israel sentiment," Gersh said. "The causes themselves and the movements themselves do not directly deal with Israel, [but] I feel like they force many Jews to choose between not participating." Gersh specifically mentioned the feminist and Black Lives Matter movements. In his letter published Tuesday, Gersh, who grew up in the United States and later became an Israeli citizen, argued that Zionism and feminism go together in part because Israel is the only country in the Middle East that protect's women's rights. "Israel, the country built by Zionism, is the only country in the entire Middle East that is democratic and a protector of women's rights," he wrote. "While the countries surrounding Israel openly and unabashedly suppress women, severely limiting their ability to take part equally in society, women in Israel of all religions, ethnicities, and nationalities, have open and equal access to education, employment, and political participation." This entry was posted in Issues and tagged Anti-Semitism, Israel, Jewish Community, War on Women, Women. Bookmark the permalink.